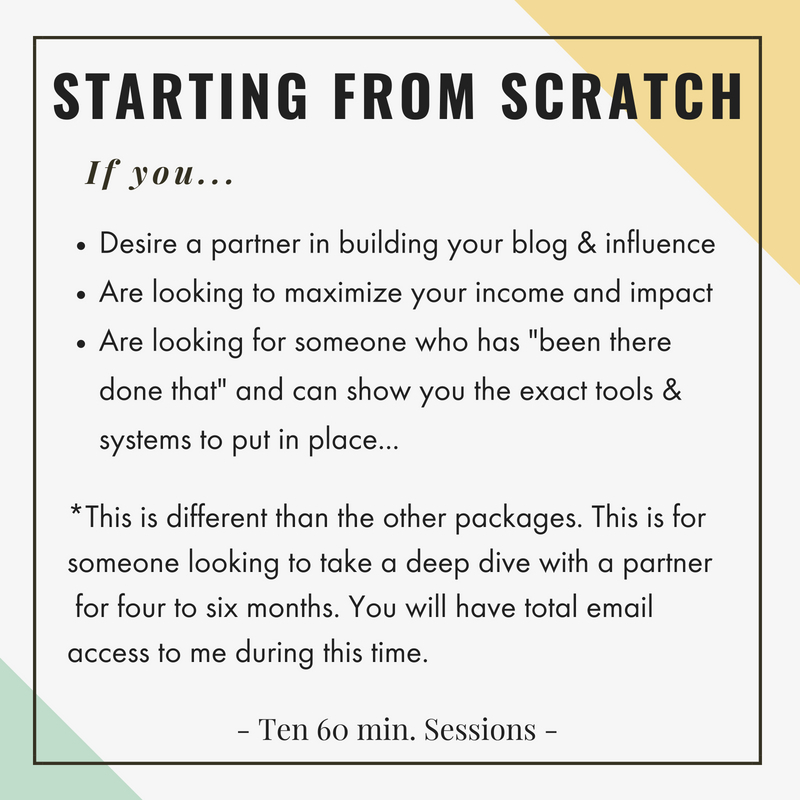 Are you ready to stop accepting free product and finally get paid your worth as a blogger? I offer three packages where we'll tackle all of your questions and come up with a customized strategy for your blog. Say bye-bye to broke blogger and hello to purpose driven entrepreneur! Invisible to your target audience... it's like you're screaming and flailing on the bleachers and they are staring at you blankly like you aren't even there. Finally have a voice that's recognized as the go-to expert for simply being YOU! Let's work 1-1 together to make all your blog dreams come true! Let's put together a growth strategy that takes you from unpaid blogger to getting paid entrepreneur! After stalking Rachel on Instagram for a while, I finally decided to reach out. I had been wanting to start a blog for a long time but felt totally overwhelmed. We immediately jumped into the full 10 session package since it came with full email support between sessions (which essential and so helpful for every design/technical question along the way!) and I don’t have any regrets! By the time the package ended I had a completed blog and more knowledge than I knew what to do with! THE CONFIDENCE I GAINED FROM WORKING WITH RACHEL IS INVALUABLE! Before my blog even went live, I was able to secure a hotel partnership for upcoming travel and just months after the blog going live I reached over 50,000 pageviews! She really equipped me with all of the knowledge I’d need from launch to growth to monetizing! Session 1: Target audience. Who TF are they (because even if you thought about this, you probably haven't thought about it like we're going to in this session) and where do you fit in? Session 2: Mindset & Clarity. Success will lie in your mindset. This foundational session will ensure you're in it for the long-haul. We'll uncover your fears, blocks, and self-sabotages. Session 3: Brand Identity. We'll dive deep into your blog's mission statement and all the branding elements that will make you stand out in a saturation market. Session 4: Signature Story. This session builds on your brand identity but goes even deeper to really establish your voice, motives, and personal identity in the digital space. Session 5: Website & Tools. We'll put all the pieces together so far and make sure you're building your website! We'll cover different platforms, tools, opt-in options and so much more that will set you up for success and sustainable growth. Session 6: Effective blog writing. Even if you've been writing for a while, chances are if you're coming to me there's somethings that need to be improved upon. I'm going to teach you how to get the clicks, conversions, and shares you really want. Session 7: Promotion. Promotion. Promotion. They say 20% of your time as a blogger should go towards content creation and 80% should go towards promotion! In this session we'll look at your existing promotion strategy and put one in place that'll explode your growth. Session 9: Gaining credibility. I'll show you how to get press and media coverage for yourself and the blog so you can really begin to stand out from the crowd! Session 10: Catch all. 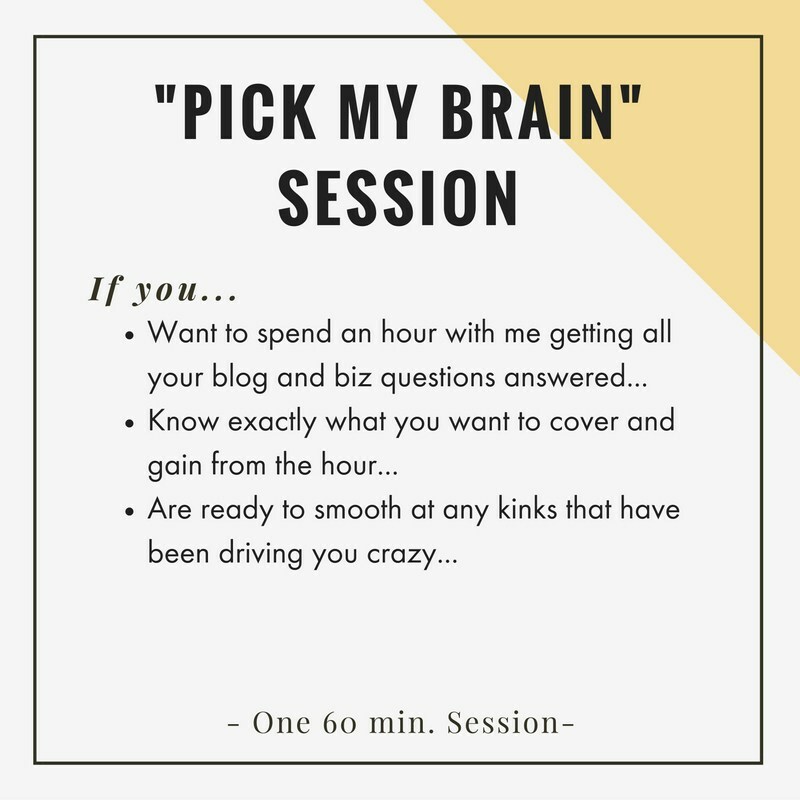 I usually leave this session as a floater to cover more in depth on social media, copy writing, mindset, or whatever else has come up along the way. As you can see we cover a lot in the above sessions, and always need this floating session somewhere! 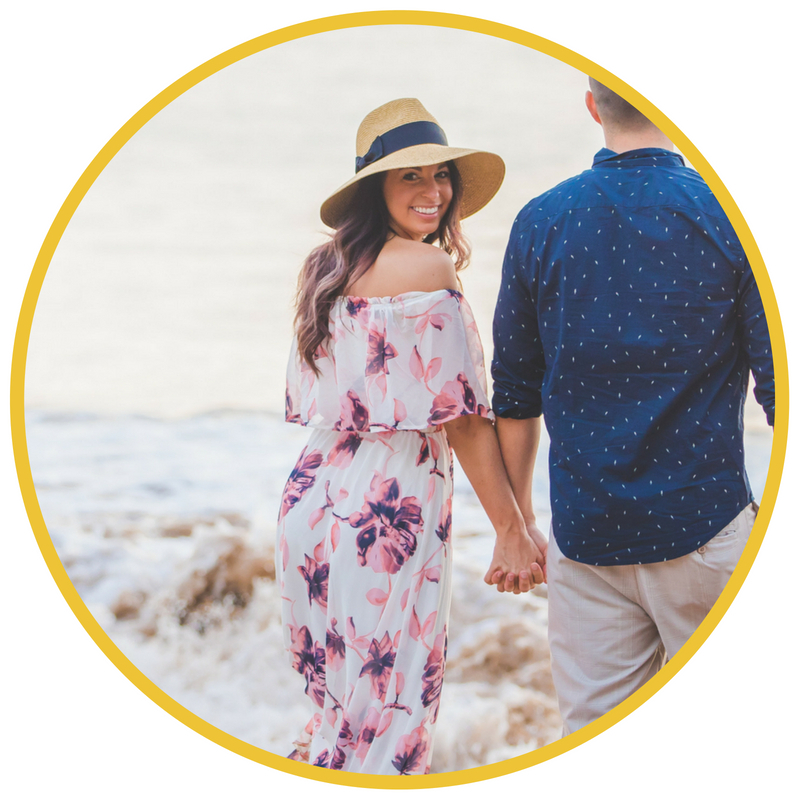 I decided that it just felt right and signed up for the full 10 session package and am so happy I did! I’ve gotten more valuable information than I could have ever imagined. Rachel made me feel supported every step of the way (can't stress how helpful all the emails between sessions is!). I ABSOLUTELY LOVE WORKING WITH RACHEL. I kind of feel like she’s my blogging big sister. Every session she made me feel comfortable and crammed my brain with everything I needed to take another step towards my future. I tell basically anyone that will listen to me that this investment was so worth it and if I could go back in time and do things differently, I wouldn’t. I wish I could explain the amount of little details that go into blogging but I can’t and it certainly would have taken me a looong time to figure this out on my own. Rachel taught me how to build a website, optimize it for SEO, set up my email marketing, and all that technical stuff. I also learned how to promote my posts, price myself, pitch brands, and all that marketing stuff. I had a partner when it came to choosing a name, branding the blog, finding my voice, giving my Instagram a theme, taking/editing pictures, and all that creative stuff. If you’re serious about building a blog and hopefully turning into a career then you honestly need this insider information to set you up for success and give you an edge on the competition. I went from not knowing if I wanted to start a blog, to having a fully finished site and brands reaching out to me about sponsorship advertising opportunities on my blog! Blog coaching is the way to go! Notice I call myself a blog consultant, not a blog coach. That's because I'm 100% rooting for you, but there's enough Facebook groups out there to cheerlead you on as a blogger - I'm here to cut through the B.S., remove your blocks and get you to where you need to be quickly and effectively. Our time together will be spent tackling whatever is coming up for you. If that means we need to spend a session on your fears/blocks/self esteem then we will. If that means we stick only to the technical we'll do that too. However, you'll never hear my band-aid your problem or give you a bunch of fluff just to make you feel better or to make things easier. I want you to succeed beyond your wildest dreams! So I'm going to share with you the things no one else will. You'll also get lot's of post session homework! Because that's were the magic happens - in the action you take afterwards! I love sharing all my wisdom with my clients, but I want you to ultimately be self sufficient and not need me anymore! That's how I know I've done my job successfully - which means you'll build most of your confidence and skill between sessions!